Here is my first ever published illustration that appeared in a national magazine. It was done during the summer of 1986, between my second and third year at art college. 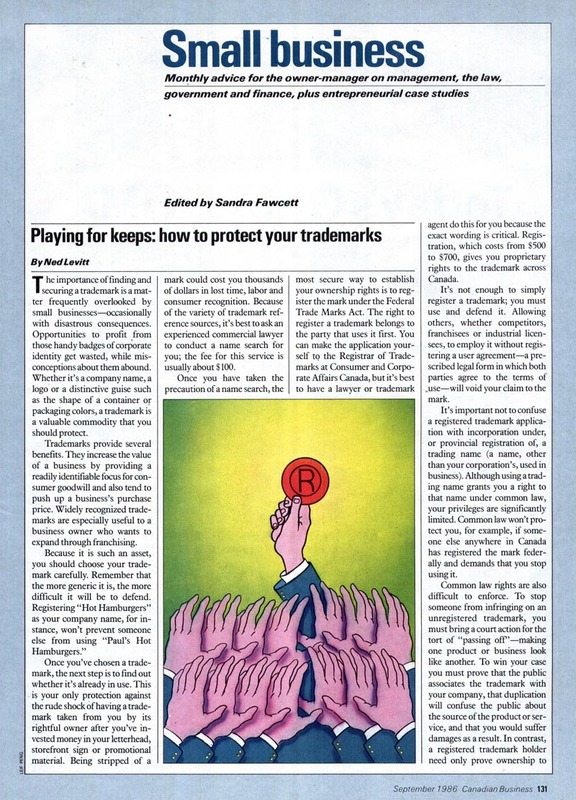 I will always be grateful to the art director at Canadian Business magazine who took a chance and gave a kid with what was clearly a student portfolio a shot at doing his first professional work. I was paid $275 dollars for this spot illustration. I thought I'd died and gone to heaven. Suffice it to say, I'd have happily done the job for free. In the years after graduating from college I did many, many more spot illustrations for many other magazines, books and newspapers. 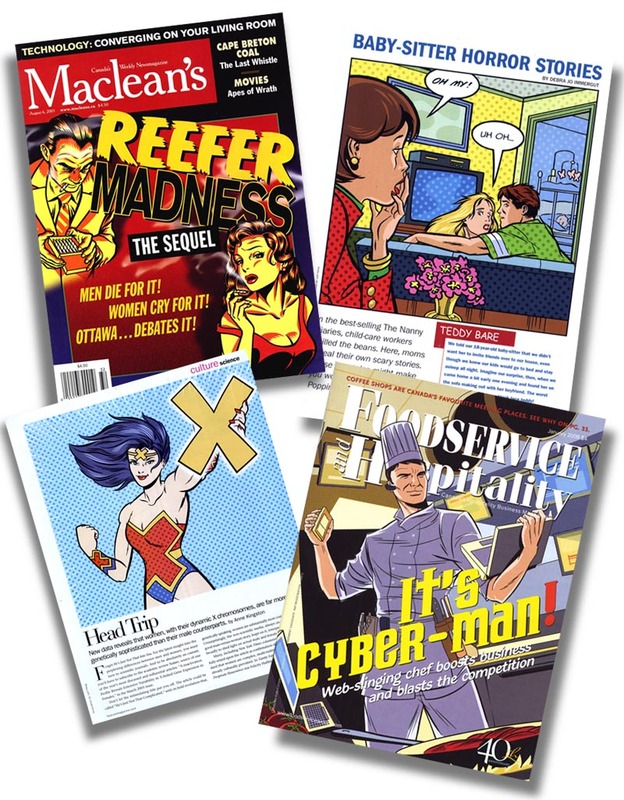 There was a time when magazine (or "editorial") art represented a substantial portion of my income. Depending on the size and scope of the work, whether it was for a consumer or trade publication, and whether that publication had local, national or international distribution, you could expect to make anywhere from a couple hundred to a couple thousand dollars for a single magazine illustration. I don't really do very much of this sort of work any more, but my impression is that the fees for editorial illustration have remained largely flat over the last twenty years. I also have the feeling that there are far more illustrators than assignments in the editorial art market. Advertising illustrations, of which I also did many during the 1980s and '90s, paid much better. 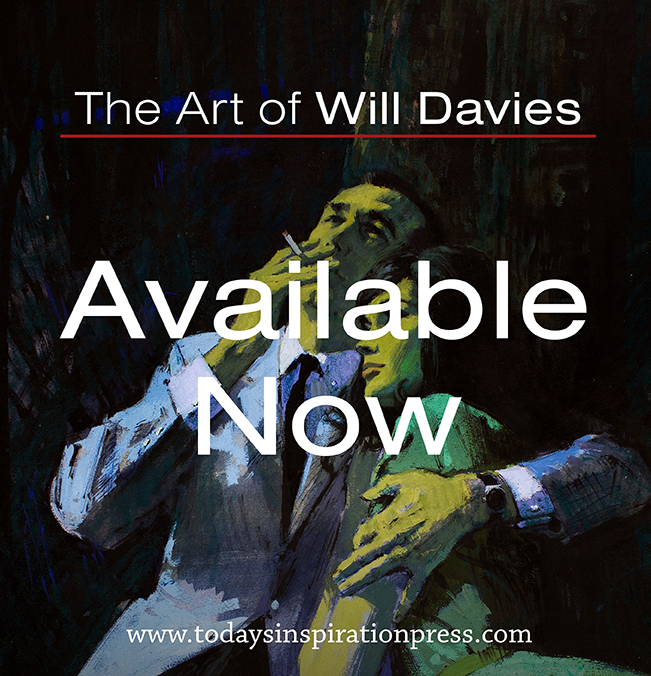 I typically received fees starting around $2,500 for a single piece of ad art and I believe the highest payment I ever received was in the neighbourhood of $12,000. I knew and worked with several other (far more) important, established Canadian illustrators and heard numbers in that price range mentioned many times. 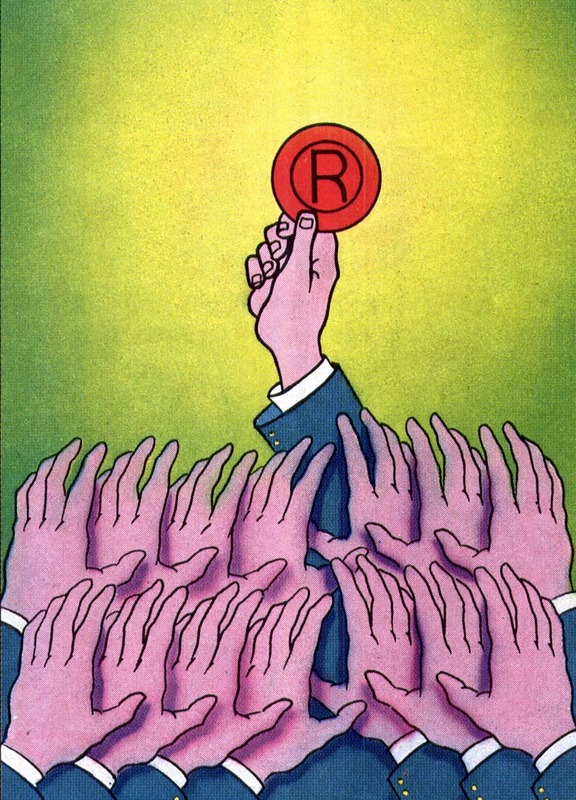 Among friends who worked for American clients through their reps in New York, it was not uncommon to hear that clients sometimes paid twenty, thirty or close to $50,000 for a single piece of advertising art. Fifty thousand dollars! Needless to say, assignments with that kind of budget don't drop into an illustrator's lap every week. But 60 years ago, they did - into Albert Dorne's lap. Every week. 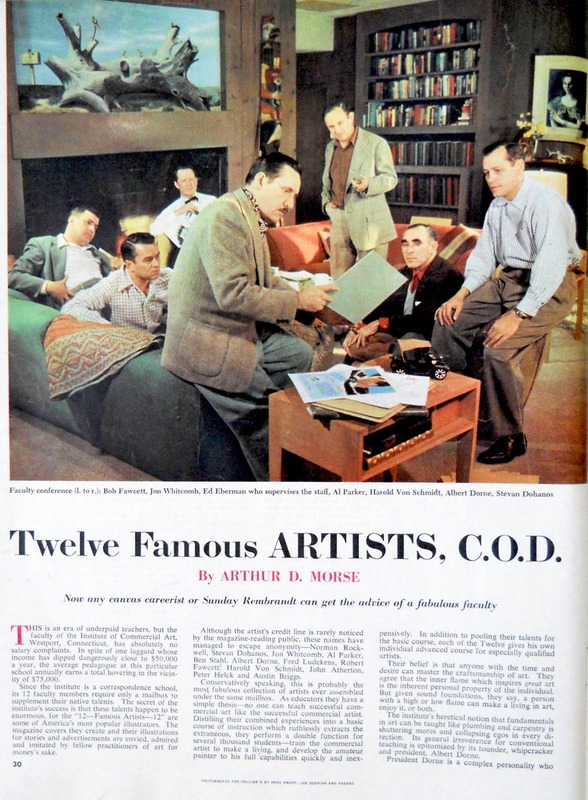 From a March 1950 article in Collier's magazine about the Famous Artists School, we learn that all twelve members of the founding faculty were earning an average of $75,000 a year. With the exception of FAS founder and president, Albert Dorne, whom the article says was paid as much as $5,000 per advertising illustration and who made $100,000 a year. Using any one of a number of online currency converters, we can quickly recalculate Dorne's income as being nearly one million dollars per year when adjusted for 60 years of inflation. His $5,000 ad art fee comes to $46,436.23 in 2011 dollars. To make the 1950 equivalent of a million bucks a year at that rate, Dorne would have had to do an advertising illustrations every other week. He often did 5 illustrations a day. Of course not every assignment was an ad piece. 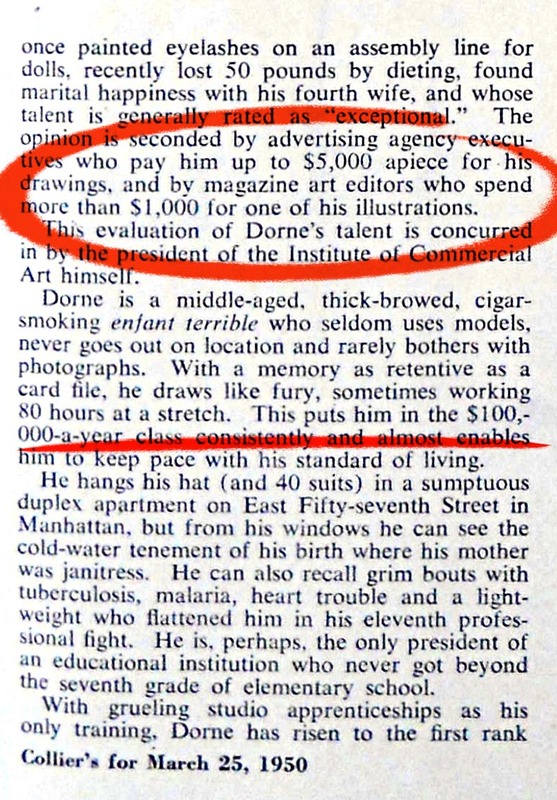 The Collier's article tells us Dorne received only $1,000 for magazine story illustrations. Or, in terms more relevant to us, a mere $9,287.25 in 2011 dollars. 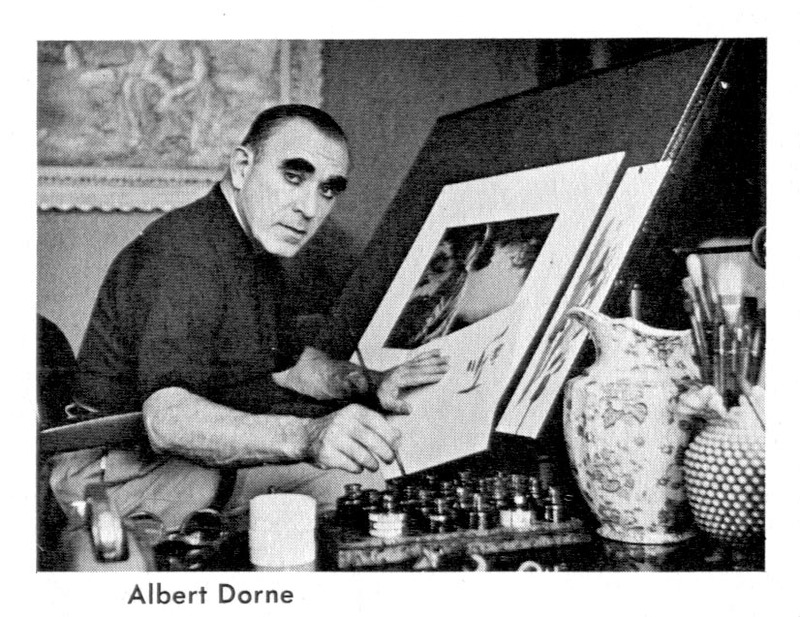 Now there's no denying how exceptional Albert Dorne was - both as an illustrator of prolific output and as a savvy, tireless, business-minded entrepreneur. But consider how many other illustrators enjoyed even a fraction of Al Dorne's success and its easy to imagine that the equivalent of modern day six-figure income was well within reach for many a mid-century illustrator. 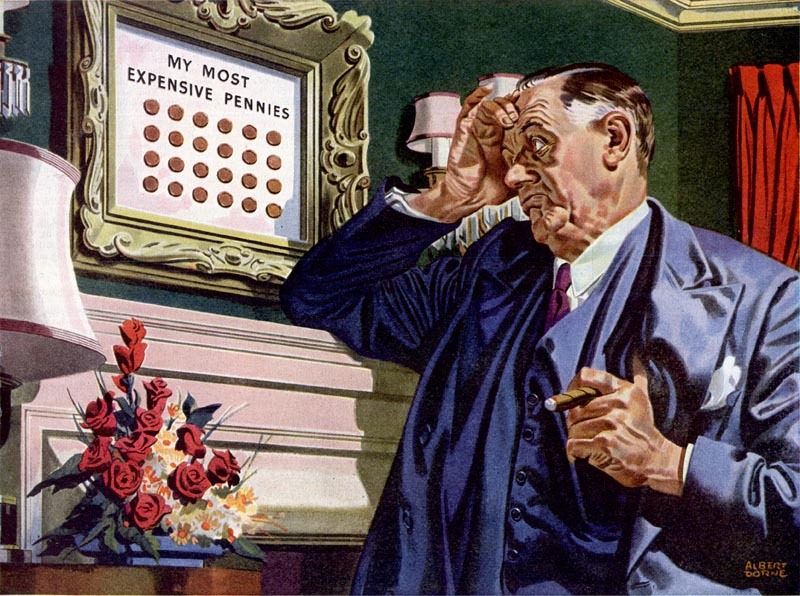 A six figure income drawing pictures for magazines and advertising... how common is that today? Consider my spot illustration fee of $275 from 1986 which, as a 22 year old kid, made me feel wealthy beyond my wildest dreams. Now calculate it backwards to 1950 dollars and you discover that I was paid the equivalent of $59.38 in Albert Dorne's time. 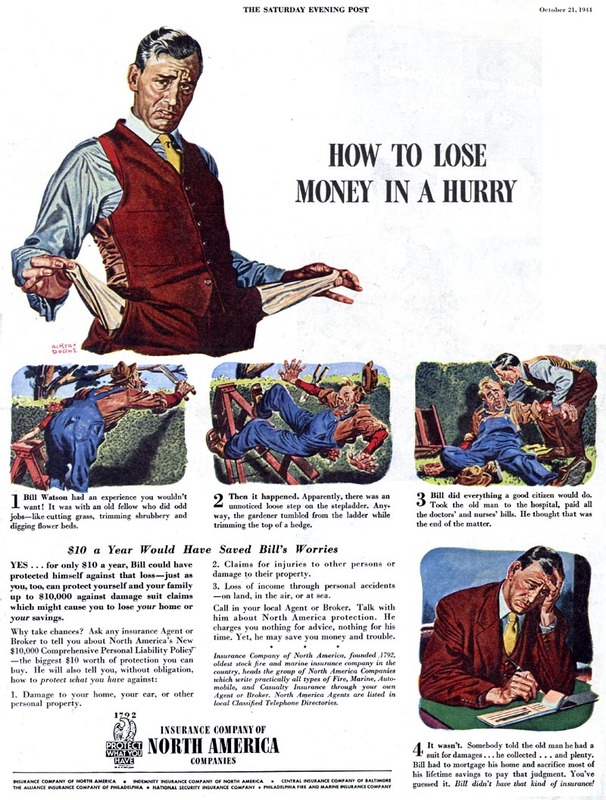 Which really makes me pause and consider "How to lose money in a hurry" ? Answer: become a professional illustrator in 2011. * On October 26, from 7 to 9 pm, I'll be in Toronto at The Nook giving a talk about Albert Dorne and many other mid-century illustrators whom I've written about over the last six years. I'll share stories and anecdotes - some from my research but also many from personal interviews I've conducted with many Canadian and American illustrators of the mid-20th century. I'll be looking at changing styles and technology and how both have impacted the business of illustration over the last half century. Perhaps we can learn something from the lessons of the past... or perhaps we are doomed to repeat it. Also, there will be treats. This week, a preview of some of my discussion subjects. If I'd gone thru 4 wives like Dorne, I need to make that kind of dough too. Of course technology is the culprit nowadays (besides the economy). Reinventing ones self is almost mandatory and not just something to lightly consider, or else...well, just ask Joe Leyendecker. Unfortunately the only way to make that kind of money now is to be a photographer. Same thing has happened in the writing game. Fees have stayed flat or dropped - or halved. And people aren't so keen to pay expenses. You end up paying them! And photography? With all that competition from amateurs? Guys you can still make a lot of money doing illustration, you are just comparing to a few individuals, back then the vast numbers of illustrators where earning very little. The potential for earning for the average illustrator has actually expanded as there are so many more uses for illustration today. Today you are more likely to get close to that money through royalty and character or product deals. the only way to make that kind of money now is to be a photographer. Fees have stayed flat or dropped - or halved.The potential for earning for the average illustrator has actually expanded as there are so many more uses for illustration today. Reading this I feel pretty fortunate--I'm not a great artist but I'm able to make a living at it, work with great people, & learn a lot. To me it feels like there are a lot of venues open to artists now that there's the internet. I'm a lucky kid. Thanks so much for the awesome blog. It is an excellent resource. I was 26 in 86 and your article describes exactly how it's gone, in fact in 86 I received $5000 advance to illustrate a picture book. In 2010 I was offered $788 to illustrate 20 pages for a pre-school book...mmm and I thought I'd improved over the years! Great blog, I'll keep dropping in on this one now! Absolutely brilliant post Leif. It echoes what I and many of my colleagues have been saying for years. I will grant that there are more avenues of work opening up for illustration, but the fees have been on a downward slide for years and years and in fact I can recall being paid the equivalent of US $500.00 for a small interior illustration in a UK national magazine in 1984. Nowadays that fee would still be the same, in fact a lot of illustrators have had their editorial fees reduced, so if anything it would probably be less. 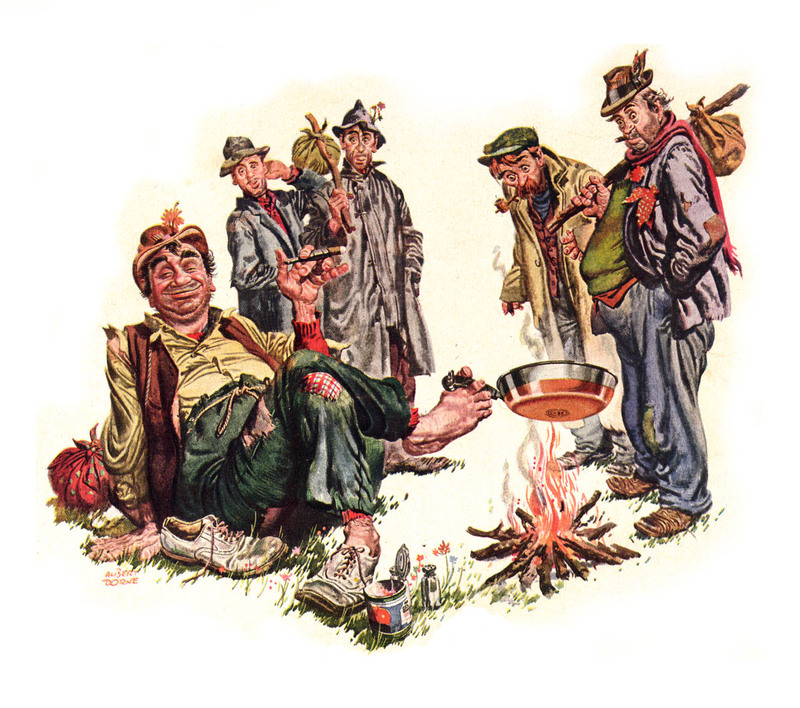 No one that I know, including some very high profile illustrators makes anything near what Albert Dorne was earning and in fact even in the relatively halcyon 1980's the earnings of top flight UK illustrators were barely topping £100,000.00. I can still recall when the recession of the early nineties kicked in, my then agent laconically observing, "Adrian Chesterman has just handed back the keys to his Rolls Royce - things must be bad". But hey ho - it's still a great way to make a living, albeit a modest one. 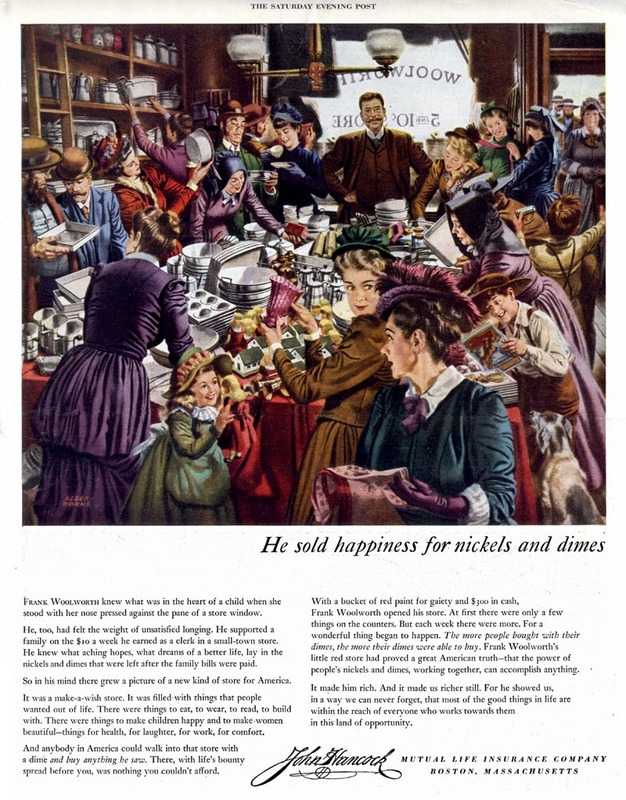 At the beginning of the 20th century you pretty much had to be in or near NYC to illustrate national magazines. When I entered the business in 1980 in Dayton, Ohio the ad agency I worked for frequently hired local and some national illustrators, which by then included Hellman studios in Iowa and others beyond the east coast. The Internet has widened things to global proportions. It has flattened earnings as everyone here laments but also spread the opportunity to anyone with a computer and a dream. Likewise clients are not just global but often individuals with their own dream. I've done work for people wanting to put out their own wrapping paper, greeting cards, comics, self-help books, etc. My pay is also lower than when I worked at local ad agencies but I'm finally doing the illustration I've dreamed of doing. finally,...someome with the courage to speak the absolute truth!,...i was a freelance illustrator for going on 30 years, and never made more than 45-50000 dollars a year,...not great but not really terrible either,...the sad truth is you really can't make much money in this field no matter how hard you work,...cause as you aptly point out,...fees haven't risen in this profession for 50 years now!,...you work, and work more,...happy to be getting work,...then it dawns on you [like it did me!] that no matter how hard you work,...you just can't get above a certain income level....[a very very few have, but i think they are very few and far between],...it's very frustrating,...and is obviously the reason why so many former illustrators are now teachers,...also spreading the big lie that you can make lots of money in this field...BULL-HOCKEY! I SAY,..THANKS FOR THE COURAGE TO TELL THE TRUTH!,..i remember my first published piece also,...so young and full of dreams of making it big,...now i realize that illustrations true golden age had long ago slipped by me before i even entered the field,...harsh words fer sure, but someone really needs to let the young kids know that this field is NOT to ever get rich, ...you can sort of eke out a living,...and also another sad fact that i've discovered, is that many many of the so-called successful illusrators of today have had to totally by-pass a normal family life,...they are single, or married with no kids,...and wife works too,...i persaonally know of MANY lonely illustrators who, in the pursuit of their illustration dreams, forgot that that's really NOT what it's all about,...and are now in their 50's and 60's very lonely people with nothing but their tear-sheets and awards to surroungd them,...i realized early on when i saw that pattern, that thst was NOT going to be me!....i may not have acheived all the fame and fortune of other illustrators,...BUT I HAVE A LIFE TOO!,...don't get sucked into THAT pit,..make another life for yourself OUTSIDE of illustration!,...you'll be much happier! as for the above mentioned comments,...now that i'm on facebook, and have re-connected with lots of my former class-mates and fellow illustration compatraiots,..i certainly see what he's talking about!,...hardly any still diong it,..[ i graduated in 1978,...so granted most would be retired now anyway! ],..but few, if any, still doing it,..many, many bitter about their experience with the field,...and as aptly pointed out above,...many, many, single and lonely former illustrators!,...many many former illustrators now teaching,...hardly any of them ever made much money at it,...and most of the married ones had or have wives that work too,..nothing wrong with that at all,...but as you point out, back in illustrations hey-day,...a guy[or girl] could support their family on illustration fees alone,...no dual income needed....thanks for the really needed "wake-up" call!,...you can still make a moderate living as an illustrator,..but as the above poster states,...please make sure you also have other interests and an outside life,...or risk being as they state,...'BEING SURROUNDED BY YOUR AWARDS AND COB-WEBS,AND NO LIFE"